In the previous post we looked at broader set of activities project management office (PMO) carries out, it also gave us the overview of objectives project management office (PMO) tries to achieve with these activities. In this post, we will get little deeper into set activities PMO would perform on a daily basis. 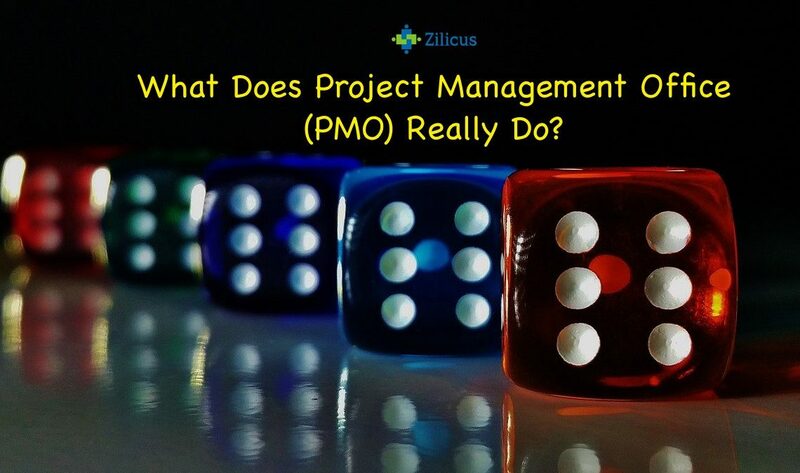 As I mentioned in the first part of the series (What is Project Management Office), there are different forms and types of PMO can be seen in various organizations. It can be a very small team to function as PMO in some organizations whereas in large enterprises, there are separate PMO department to oversee PMO activities. Interestingly, there are few organizations, wherein I have seen single person leading PMO office as well as driving PMO activities. If one look at what kind of project management activities PMO undertake such as researching project management policies, best practices, implementing those project management practices, training various department to adopt those practices, project governance, deciding unified ways to assess project management performance, building useful project templates and project reports and so on. One can understand that managing PMO is definitely consist lot more activities for an individual person to research, implement, train and review. What does PMO do on a daily basis? So there are plethora of activities PMO needs to perform on a daily basis. What are these activities? Set up Rules of the PMO game and Automate those. Before PMO set up rules of the game, it needs to review current processes, established practices, maturity of organizations in terms of project management. It can fine-tune, define workflows and automate processes typically by implementing project management software. It can set simple rules such as how a new project request should be submitted, how it should be approved – how it should be reviewed, who should review, what budget/resource conditions should it meet? Establishing an Easy Way of Knowing Project Team Members’ Activities PMO sets and automate the processes gather information using project management system or some manual mechanism (like emails calls, sending/updating spreadsheet files). It provides project status information for not only project managers but also portfolio managers and other resource managers. PMO can also set appropriate process to book, release, assign resources across projects. Enable Easy Reporting of Project Progress to Executive Management The PMO set up a way to collect project progress information in a common or standard format (typically using project management software) and this information can be easily reviewed by executive management through portfolio dashboard and reports. PMO can also set up automated process/ mechanism to follow up with project teams to update project progress. Efficient Way to Track Project Progress and Share Project Information with Stakeholders Once PMO sets efficient mechanisms and tools to gather and collate project status information, project KPIs, portfolio KPIs, it can share the project information with project stakeholders through right access levels to project dashboard and reports. It also means, finding the right project reporting tool or reporting template to meet reporting requirement of its organization. Facilitating and Enforcing a Common Platform for Project Collaboration PMO needs to set up a common collaboration platform for project stakeholders. It can be emails, shared folders, document versioning, chat clients or multiple such channels. What is important in project collaboration is, it should be unified, consistent across departments and it should not result in slower or ineffective project collaboration. Enabling and Enforcing a Practice to Track Project Issues and Risks Though I am sure, issues and risk management are part of standard project management processes but these need a special emphasis of PMO to highlight importance of issues and risk management for better project management practices in long run for greater benefits.